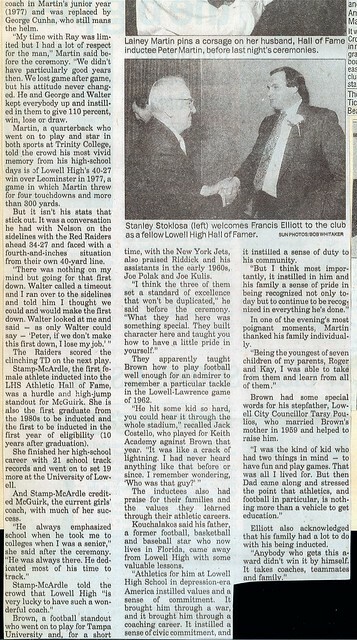 Jill Stamp McArdle is honored as the first female competitor to be inducted into the Lowell High School Athletic Hall of Fame. 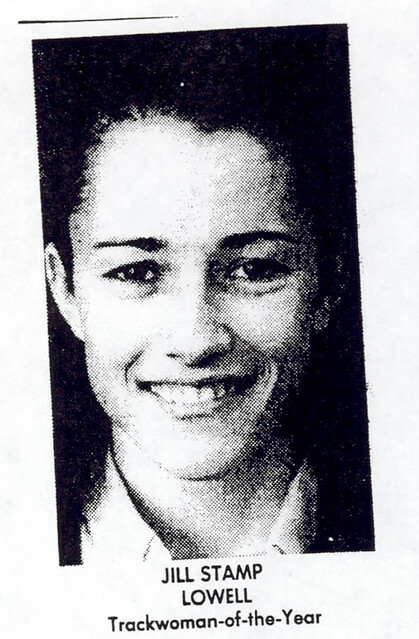 Despite beginning her athletic career as an accomplished gymnast, it was in the sport of track and field where Jill mode an indelible imprint on the school’s athletic history. 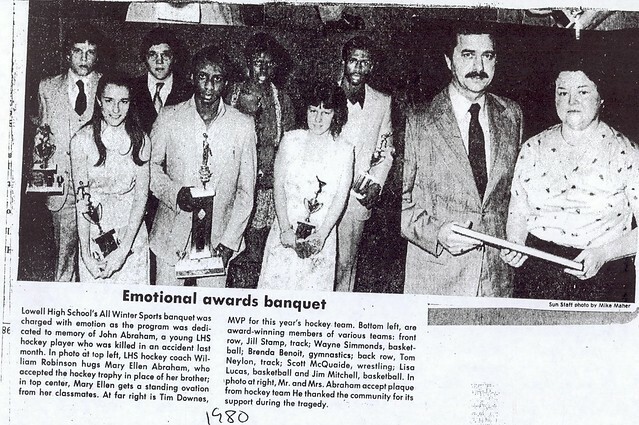 During her four years as a member of the Red and Gray’s Indoor and Outdoor Track and Cross Country teams, Jill established herself as one of the most versatile track and field performers in the school’s history. 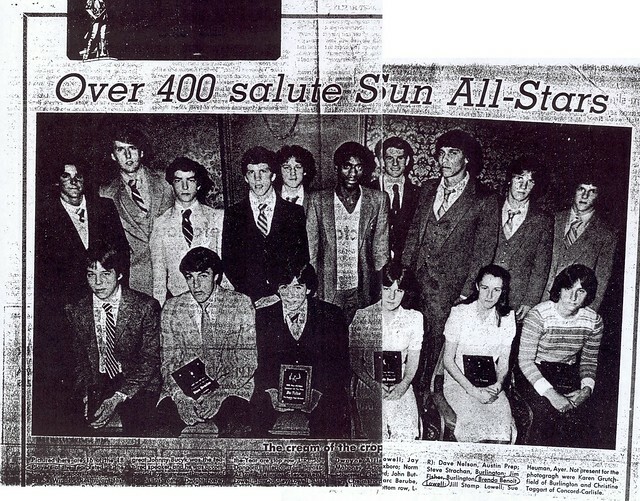 A standout at virtually every event from the 100-meter hurdles and long jump to cross country. 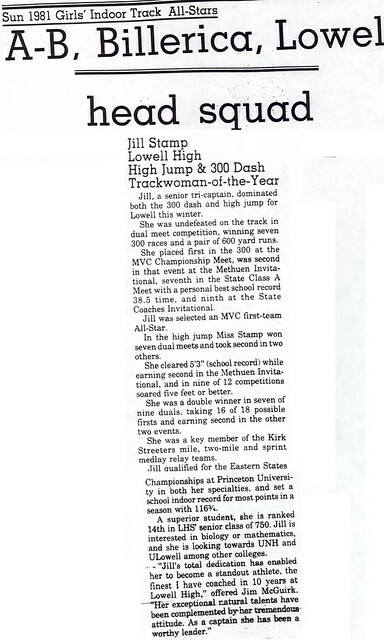 Jill, a regular place winner at the state championship level, completed her career at Lowell High School with no fewer than 21 school records, while achieving a Class academic ranking of 12 (out of over 700). 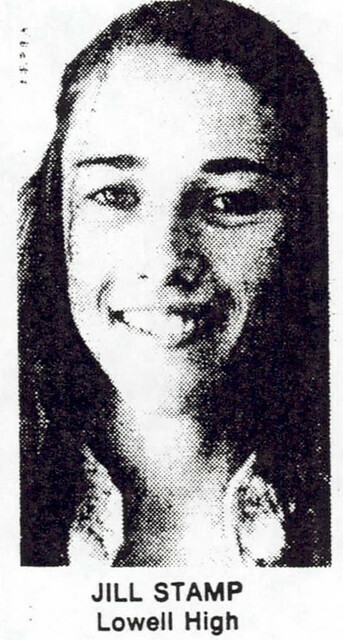 Jill was a three-season Captain, a 5-time team MVP, and a 3-time Lowell Sun Track Woman of the Year while at Lowell High School. 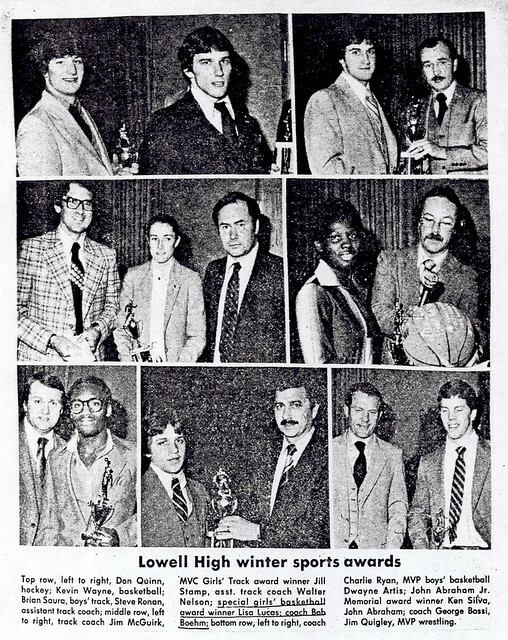 Upon graduation, Jill continued her athletic excellence at the University of Lowell. 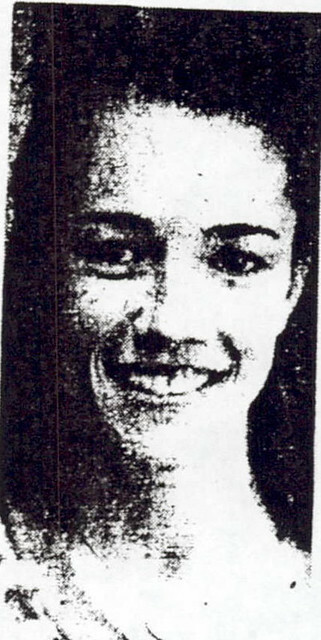 Jill set 19 school track and field records during her career with the Chiefs, but it was primarily as a hurdler that she excelled. 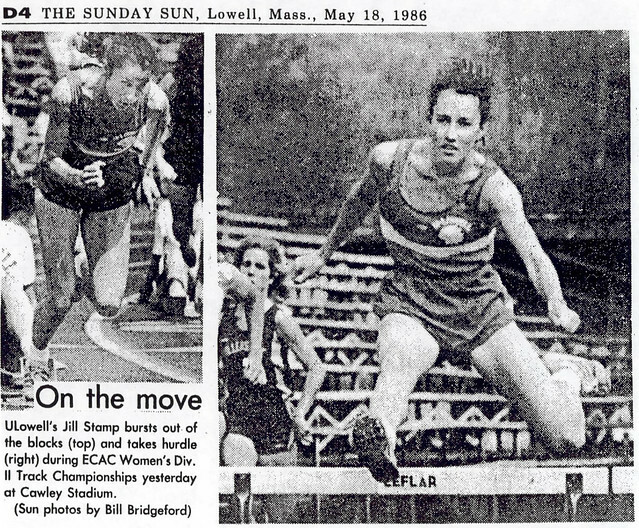 Jill earned numerous All-New England and All-East Honors, and won New England Collegiate Championships in both the 100-meter and 400-meter hurdles. 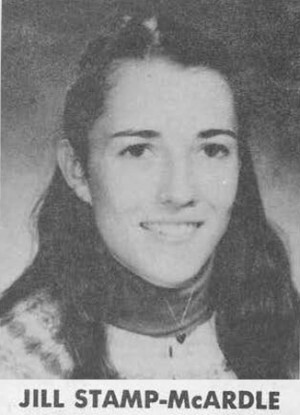 She culminated her career by becoming the University’s (and Lowell High School’s) 1st Woman All-American in the 400-meter hurdles in 1984. 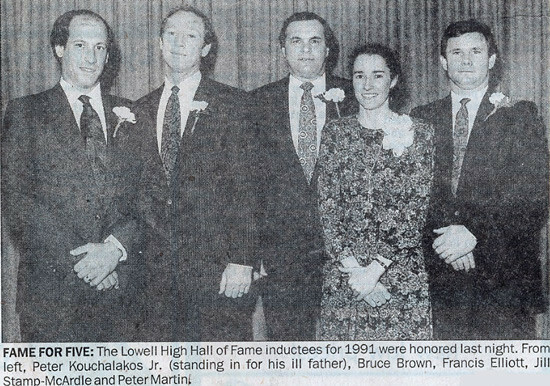 Jill Stamp McArdle inducted into the UMass Lowell Athletic Hall of Fame: (1992) – The first women’s track and field All-American at the University of Massachusetts Lowell, Jill Stamp-McArdle is the finest hurdler in the history of the women’s track program. 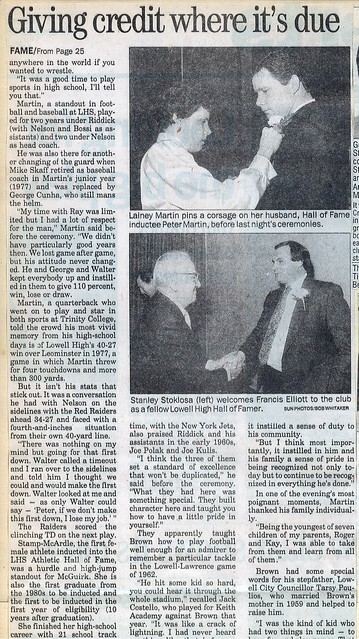 She was elected to the Athletic Hall of Fame in her first year of eligibility. 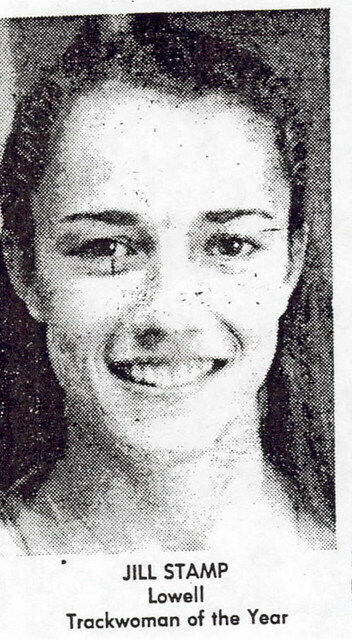 A three-time qualifier for the NCAA outdoor championships, Jill earned her All-American citation in her sophomore year when she placed fifth in the 400 meter hurdles. She was a finalist in the 400-meter hurdles as a junior, and qualified for the NCAA’s in both the 100- and 400-meter hurdles as a senior. 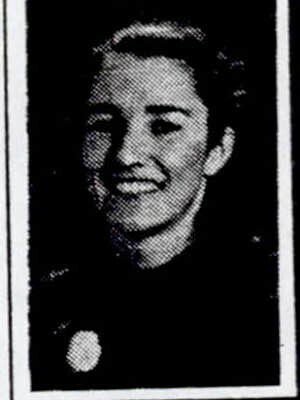 Jill held six individual school records indoors and three records outdoors. She had the ten best listed times in the 55M hurdles indoors and the 100- and 400-meter hurdles outdoors. 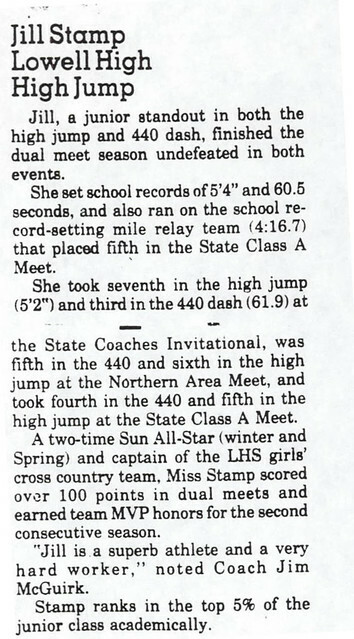 Jill still holds the 400 meter hurdles outdoors. 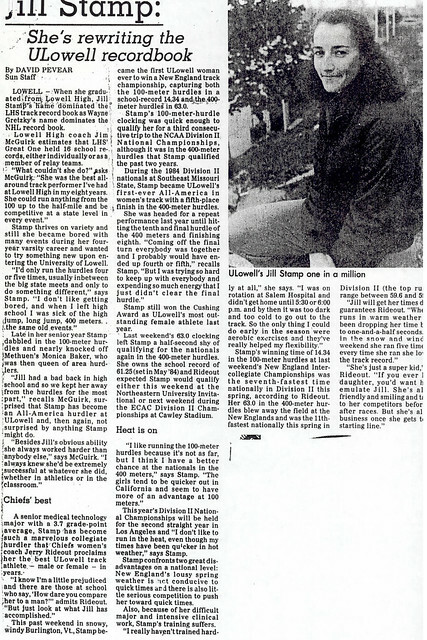 During her career, Jill was a four-time All-New England performer outdoors in the 400 meter hurdles and also All-New England in the 100-meter hurdles as a senior when she captured the championship in both events. 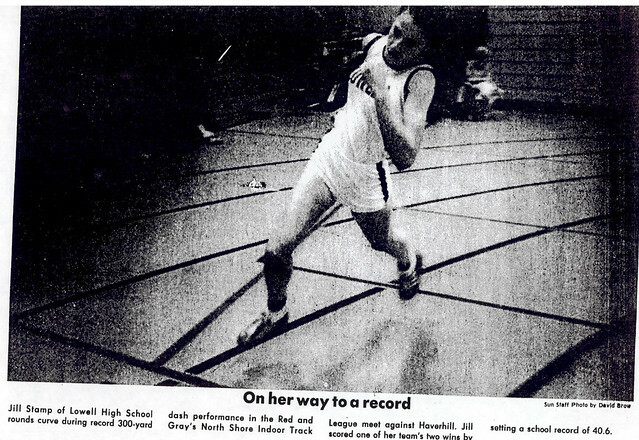 The indoor track program began during her sophomore year and she was All-New England two of the three seasons she competed. She won the ECAC 55M hurdles championship indoors as a sophomore, and was an All-ECAC selection on numerous occasions indoors and outdoors. 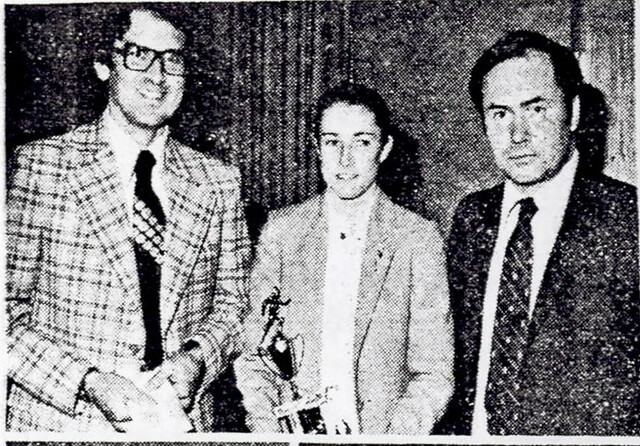 A Dean’s List student all four years, Jill twice was the recipient of the Lester H. Cushing Award as the school’s outstanding female athlete. 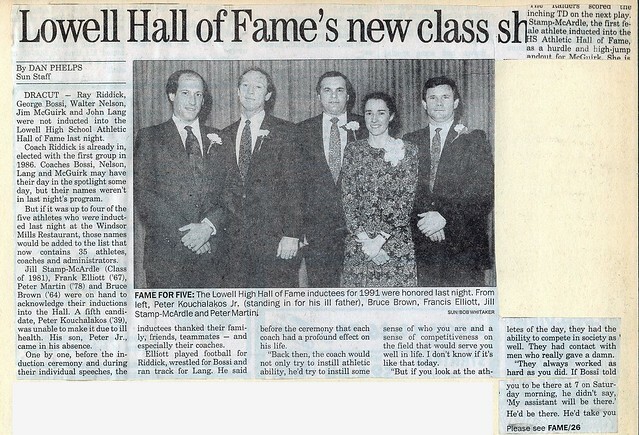 She was indicted into the Lowell High School Athletic Hall of Fame in the fall 1985.